eCallogy Corporation was founded in 2000, combining the resources and talents of Contact Center, e-Commerce and IT professionals. With over 70 years of combined experience, eCallogy draws on extensive background and resources. By building on this experience, eCallogy provides the highest quality of service at truly competitive prices. We are confident in our ability to meet your goals and expectations, whatever they may be. We are well equipped to make a seamless bridge between your company and ours. Our company's recent and future growth, and our industry-leading technology will allow us to provide you with top quality solutions to your business needs. Our extensive experience will bring invaluable knowledge and expertise to your projects. We never view ourselves as just a vendor, but as a vital partner in your success. eCallogy is commitment to expand our services and capabilities to meet the needs of the most demanding client. The corporate culture dictated by the "hustle" for your client concept, supports focus, dedication and pro-active involvement on behalf of our clients. 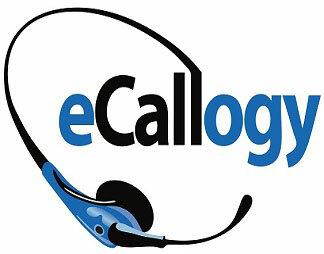 eCallogy is a technology-based company, providing highly technical services and procsses across its enterprise. eCallogy views this expertise as a strategic advantage and serves all clients with state of the art processes and technologies. Let eCallogy be your one stop program solution, or let us help you determine which of our services could simplify your program needs.